“My client” is SNZ. The programme refers to the IOC’s refugee team. Mr. Masoud is the Syrian refugee and Mr. Wright is me, his coach. Without question I believe that sentence is racist. Not the bit about me. But for SNZ to trumpet the fact that they have “no interest” in the IOC refugee program and “no interest” in a Syrian refugee member of their sport is unbelievable racist hate speech. Let’s consider what SNZ’s “no interest” in the refugee program or Mr. Masoud actually means. First the refugee programme. The refugee initiative is held in high regard by the IOC. This is how the IOC President, Thomas Bach, described the purpose of the refugee team. This will be a symbol of hope for all refugees in the world, and will make the world better aware of the magnitude of this crisis. It is also a signal to the international community that refugees are our fellow human beings and are an enrichment to society. I imagine Mr Bach will be delighted to hear that the sport of swimming in New Zealand has “no interest” in the IOC’s “symbol of hope”; no interest in the “magnitude of the crisis” and no interest in the fact that “refugees are our fellow human beings and are an enrichment to society.” There is no point in SNZ saying anything different. Their letter sent to a Syrian refugee needs no further explanation. It is a racist slur; presumably reflecting the opinions of those responsible for the organisation. The racist buck stops with them. I cannot comprehend the savage and bigoted views of the individuals in SNZ that allowed a letter like this to be sent out. Do they really have “no interest” in an international swimming programme designed to do nothing but good. I thought SNZ was led by right wing bigots but this hate speech is beyond anything I ever imagined. Although the letter was written by SNZ’s lawyer its contents must have been approved by SNZ staff. That makes them responsible and despicable. And we wonder why Christchurch happened. 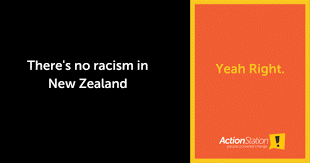 Jacinda Ardern said recently, “Is there racism in New Zealand? Undeniably. Is there racism in most countries? Undeniably. Can we do better? Yes.” She is absolutely right. She need look no further than the office of SNZ and its lawyer. Not content with pouring scorn on the IOC program SNZ turns its attention on Eyad. He is a SNZ member but SNZ have “no interest” in him either. At least that’s what their letter says. Eyad is a Syrian refugee. Family members were killed in the Syrian war. His home is a pile of rubble; bombed by we will never know who. Education is difficult; swimming next to impossible. But in spite of that Eyad persevered. He is an example of all that’s good in the human spirit. A large number of New Zealanders have treated him well. Immigration NZ, the Waterhole Swim Club, the Millennium Swim School, Auckland University, and a hundred ordinary New Zealanders have been generous, welcoming and kind. But not SNZ. The racists in that organisation have “no interest” in Eyad. Did Cotterill or Johns or Francis stop for one minute and say to themselves, “How will this make Eyad feel. Will he feel welcome? Will he feel angry? Will he feel empty sadness?” Or did they, as I suspect, just not care. Whatever happened, telling a refugee that you have “no interest” in him, or his swimming is not my New Zealand. Jacinda Ardern is right. When the staff of a national sporting body indulge in this overt racism we have much to do. Those responsible for that letter need to be sanctioned. The claim of “no interest” in Eyad’s swimming or his life violates almost every swimming Code of Conduct rule. For example their open confession of “no interest” in a Muslim Arab member is in breach of these rules. Respect the rights, dignity and worth of others.Be fair, considerate and honest in all dealings with others. Refrain from any form of abuse towards others. Refrain from any form of harassment towards others. Refrain from any form of discrimination towards others. Refrain from any form of victimisation towards others. Never act in any way that may bring disrepute or disgrace to Swimming New Zealand members, its stakeholders and/or its sponsors, potential sponsors and/or partners. In addition I believe the letter is illegal. But I am not a lawyer. We will leave the Human Rights Tribunal to decide on the legality of SNZ’s letter. So how should SNZ be sanctioned for its blatant racism and for the serial Code of Conduct violations? My recommendation will be for Sport NZ to stop the Government’s funding of SNZ immediately. No one who indulges in such blatant racism should be financially supported by the government. The government has no business paying to maintain a culture of racism in New Zealand. The table below shows what the government paid SNZ in each of the past five years. And what has New Zealand got for almost $9 million. It has bought a 13 word sentence of hate speech. And for that government funding should cease. It is from sick comments like these that the problems in Christchurch have their source. In the meantime thank you for your signature on the petition to support Eyad. The pressure of 624 signatures is working. If you know of others who may be able to sign, here is the link to the petition. This entry was posted on Friday, March 29th, 2019 at 7:00 am and is filed under Training . You can follow any responses to this entry through the RSS 2.0 feed. Both comments and pings are currently closed.